Dining Out – Is your meal REALLY gluten-free? Cross-contamination is always a risk when dining outside of your own home. A study published today in the Medical Journal of Australia serves as a reminder to gluten-free customers to remain vigilant when dining out. Always ask questions and never take menu markings at face value. The first of its kind study randomly tested 158 dishes marked as ‘gluten-free’ at 127 randomly selected food businesses across Melbourne. The tests were conducted by City of Melbourne environmental health officers, in consultation with researchers from the Walter and Eliza Hall Institute of Medical Research. The researchers detected gluten in 9 percent of samples at levels above the current Food Standards Australia New Zealand (FSANZ) definition of gluten-free. “Previous evidence was only anecdotal with patients reporting getting sick after eating out. Our research not only validates these concerns, it also examines why gluten contamination might occur,” says Dr Jason Tye-Din, who leads coeliac disease research at the Walter and Eliza Hall Institute and is a gastroenterologist at the Royal Melbourne Hospital. 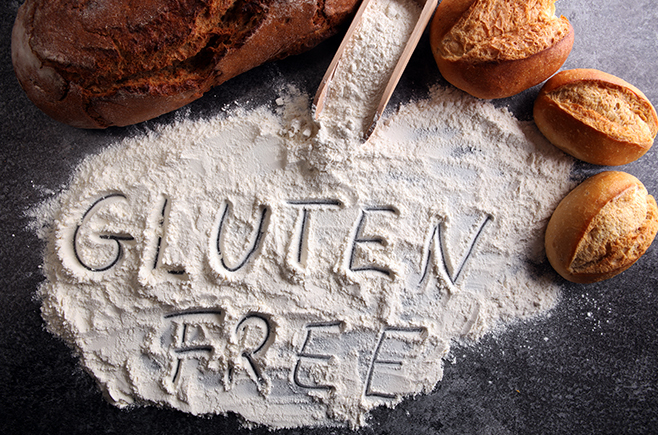 “It is fantastic to see so many businesses offering gluten-free options in Melbourne and with the right awareness, training and practices this can be done safely and in line with the Food Standards Australia New Zealand (FSANZ) Code,” he says. While these findings are concerning, especially for customers medically diagnosed with coeliac disease, the researchers do note that the results are an improvement on audits conducted in 2014 and 2015. “Improving training and knowledge about appropriate gluten-free food practices is probably the single most important step in ensuring the safe delivery of gluten-free food, particularly for people with coeliac disease, whose health depends upon it,” conclude the authors of the study.